I am Jack Byno, a Dallas, Texas Traffic Ticket Lawyer that defends clients from the annual Great Texas Warrant Roundup. The Dallas warrant roundup has begun and Big D along with approximately 250 other cities are making a coordinated effort to arrest people with outstanding Dallas traffic warrants. I have been representing clients in Dallas County since 1994 with speeding tickets, CDL violations, traffic warrants, and driver's license suspension hearings. If you want to get your Dallas traffic warrants lifted by a lawyer contact me. More about Dallas traffic tickets. Were you accused of speeding by a Dallas police officer? If he wrote you a speeding ticket then you were required to appear in court by the due date on the citation. If you did not appear, then a warrant may have been issued for your arrest. The attorneys of Jack Byno & Associates can post bond to lift your traffic warrants, but you will need to act quickly. The Dallas Warrant Roundup is in progress and you could be arrested at any time. Contact our lawyers to lift your Dallas traffic warrants. Once one of the attorneys of our firm lifts your traffic warrant, the Dallas Municipal Court will give us a court date. On that court date, one of the attorneys of Jack Byno & Associates will appear in court on your behalf and try to plea your case to a deferred disposition (probation). Assuming you qualify for the probation and successfully complete it, the traffic ticket will not appear on your driving record. Contact me to get the ball rolling before the statewide warrant roundup catches up with you. I have been representing clients in Dallas County, Texas since 1994. If you have a Dallas speeding ticket or you need a traffic warrant lifted contact me . 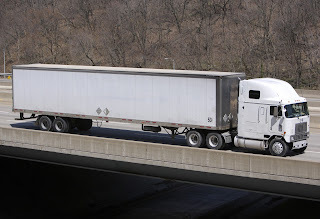 Our experienced lawyers can also assist you with CDL violations and driver's license suspension hearings .